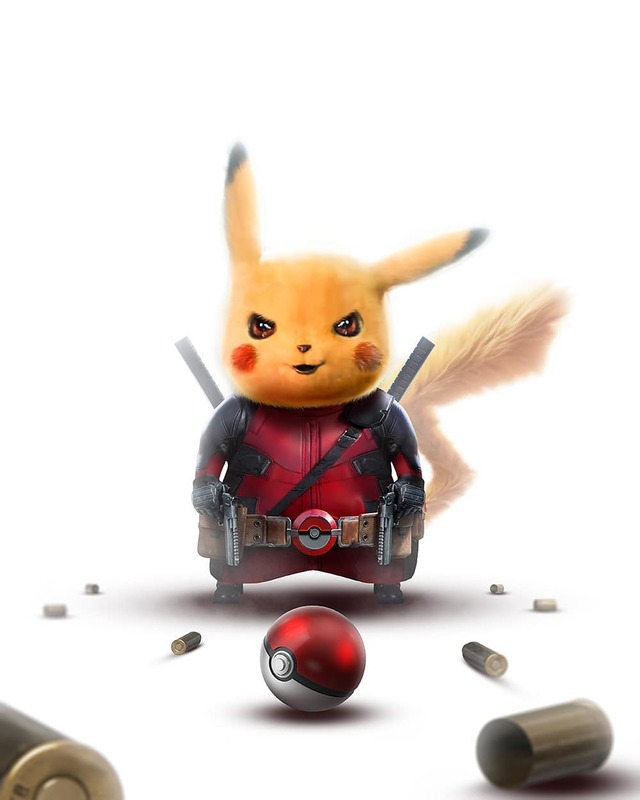 Thanks to concept artist extraordinaire BossLogic, below you’ll find a fun mash-up that imagines Pikachu sporting the famous red suit associated with Marvel’s Merc With a Mouth. And given that Deadpool has a habit of meta jokes and cheeky one-liners, this artwork from BossLogic feels very much on brand – now all we need is an alternate one-sheet that finds Wade Wilson attempting to squeeze into a Pikachu costume. Or, you know, maybe not. On the one hand, the Merc With a Mouth is an unhinged maniac who spends his nights cutting criminals down with his katana swords, while Pikachu is a fuzzy companion who’s able to generate bolts of lightning on a whim. Somehow, we think the two don’t exactly mix – the only connective tissue, really, is Ryan Reynolds, who’s about to headline Detective Pikachu and bring joy to trainers all over Kanto the world with his sass and hilarious jokes. It’s currently slated for release on May 10th, 2019 – almost one year to the day after Deadpool 2 – and may well signal the beginning of a new Pokemon movie franchise if the box office numbers are up to snuff. Directed by Rob Letterman and co-written by Nicole Perlman of Guardians of the Galaxy fame, Detective Pikachu has already made a stellar, if somewhat divisive first impression, and it’ll be interesting to gauge how audiences react to the live-action Pokemon movie when the lights go down next summer.